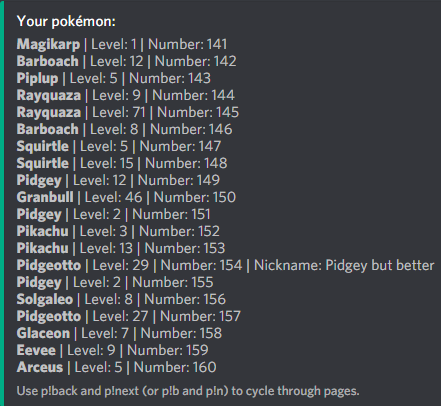 Pokécord is a bot bringing Pokémon to Discord. It allows users to catch pokémon that appear randomly in their servers, train them, battle with their friends or trade them to complete their collection. All you have to do is add the bot to your server!